Djibouti (HAN) April 14, 2014 – Africa’s next Angola oil fields will be in Somalia’s Oil and Gas in Indian Ocean Exploration. British oil giant British Petroleum signed concessions with the Petrolatum Department for the Federal Government of Somalia to explore oil and gas in the war raven East African nation, including International waters of Indian Ocean and Red Seas of Somaliland and Puntland Zones. Canadian oil and gas exploration firm, Africa Oil announced two additional oil discoveries in northern Somali Kenyan zones as search for commercial oil intensifies in the East African nation. The company said that Amosing-1 and Ewoi-1 exploration wells in Block 10BB, onshore northern Kenya, have resulted in the discovery of two new large oil fields. “These two wells continue the 100 percent success rate in the South Lokichar Basin with seven out of seven discoveries to date,” it said in a statement released in Nairobi. Another offshore well in Kenyan waters has been declared a failure, according to Intelligence sources. Although oil was found, the rock was too dense to allow production to continue under Malaysia’s giant state-owned oil company Petronas and other firms. 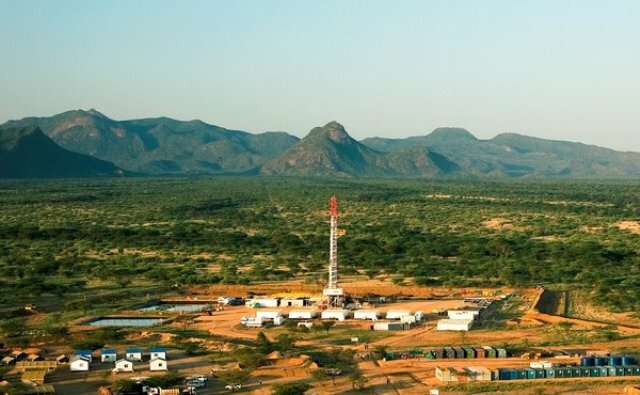 Kenya, still considered a “frontier exploration” field, by its lack of proven oil deposits except the Turkana find, has witnessed a series oil-based transactions. But, intelligence reports existence of significantly large oil deposits in Somalia which could change global prices if tapped 2015. The Somali shores of Indian Ocean could be having some of the world’s largest oil deposits. Experts geographical assessments point out billions of oil barrels are reserved untapped in Somalia. Intelligence collected by Strategic Intelligence shows Somaliland, Puntland and Central Somalia province has billions barrels of oil reserves, making one of the top 20 countries holding oil fields. A company that drilled wells in Puntland region estimates 4bn barrels (about $500bn worth at today’s prices) in its two discoveries in Somalia; while Somaliland has 5bn barrels. If drilled, Somali oil would flood the market beating countries like Nigeria and Kuwait to make Somalia the 7th largest oil producer in the world; according to the Intelligence reports. Last week, I told you there were massive oil finds in the Indian Ocean, and that the United States is in a covert war to get them. Cove was up another 20% on Friday as Thai PTT raised the ante on Shell to $1.8 billion. Their conclusion: Over 71 billion barrels of crude lay untouched in shallow pockets dotting the East Africa region. These deposits, it turns out, are a mirror image of the Middle Eastern fossil fuel super-system. More specifically, they are a southwestern extension of the Marib-Shabwa and Sayun-Masila Basins that created the Saudi Oil Empire — and gave rise to the world’s first and only trillionaire family. The Americans and the French have large numbers of special forces soldiers in Djibouti right next to Somalia. On the surface, they are there to halt piracy. But they’re really after the extension of Saudi oil fields which run into Africa. Hillary Clinton, David Cameron, and forty other high-level diplomats met to talk about bringing peace to Somalia and destroying the al-Qaeda-backed force of al-Shabaab. A few days before the meeting, the UN raised the African Union force that’s on the ground in Somalia from 12,000 to 18,000. The summit followed a surprise visit by British Foreign Secretary William Hague to Somalia’s capital, Mogadishu, where he discussed “the beginnings of an opportunity” to rebuild the country. Britain also appointed an ambassador to the country. Turkey went so far as to set up an embassy. The battle for Mogadishu and the Black Hawk down story happened 18 years ago. So why are the U.S. and its allies getting serious now? Simple. The world needs oil. Brent Sea Crude is above $125 a barrel and Europe is facing a severe depression. In a back room over cooling tea and crumpets, Britain proposed giving Somalia humanitarian and security aid in exchange for drilling rights. Last month, a small Canadian company started drilling for oil in Somalia. This is the first new well in 21 years. Oil is expected to be extracted within 20 to 30 days. This isn’t 1993. The world is no longer afraid of taking out terrorists. Attack drones are quietly destroying al-Qaeda militants. African Union troops are nearing Mogadishu. At the same time, Kenyan and Ethiopian forces are taking control of southern and central Somalia. Oil has a way of galvanizing will and focusing motivation. Since 1995, Christian DeHaemer has specialized in frontier market opportunities. He has traveled extensively and invested in places as varied as Cuba, Mongolia, and Kenya. Chris believes the best way to make money is to get there first with the most. Christian is the founder of Crisis & Opportunity and Managing Director of Wealth Daily. He is also a contributor for Energy & Capital. For more on Christian, see his editor’s page. Previous articleEthiopia: One of Fastest Growing Economies in Africa wants more.